Well... I´m not really sure whether or not I am going to write next week because I will be traveling to Concepcion and having my interview with President and stuff like that on Monday, but I´m sure you won´t mind right? I just want to express to you all that I know that God has a plan for each and every one of us. 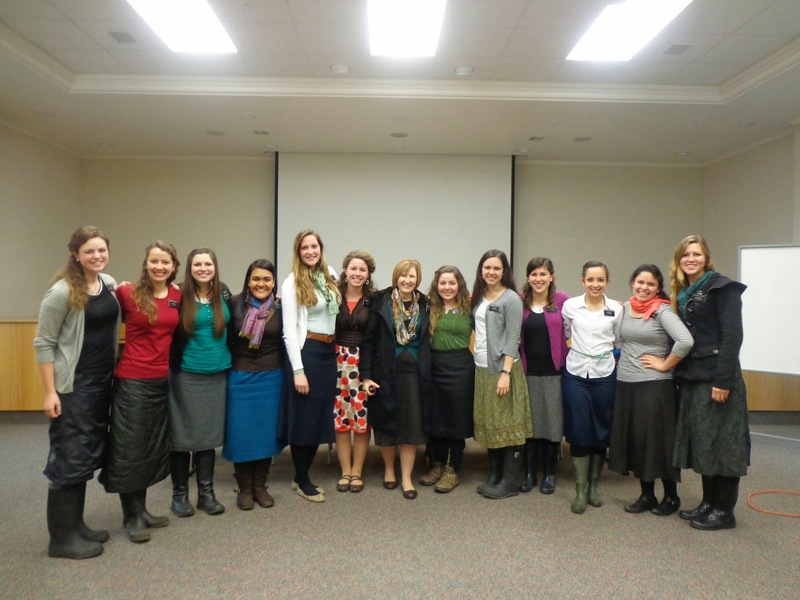 Part of his plan for me was to come to Chile Concepcion to serve a mission. I am very grateful for his love. 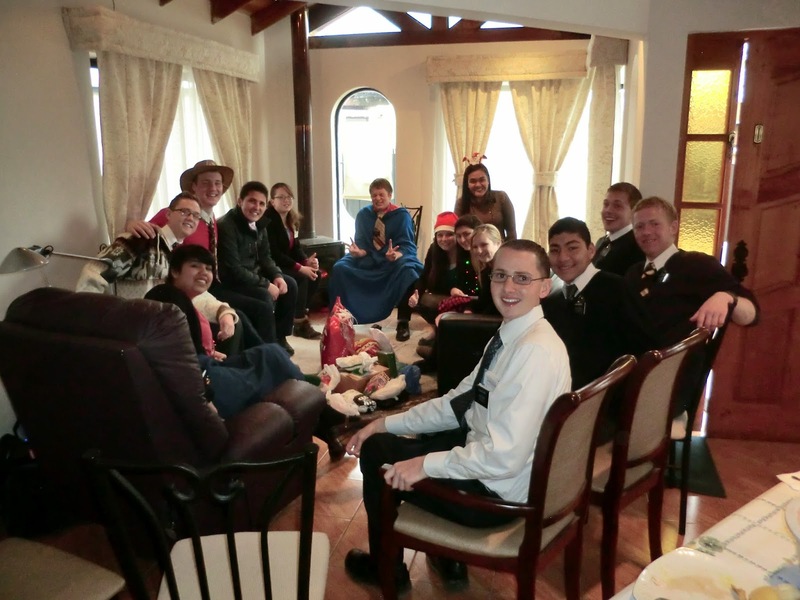 I know that He loves every one of you and all of these great people here in Chile. I have felt how the Holy Ghost can really work through me, to be able to share that love with the people I have taught, so that they can know that Jesus Christ really died for them personally. I know that no matter what our situation is, we can depend on Him. He has passed through the same. All because of his love. I love Him, and I love being a missionary to be able to teach about Him. 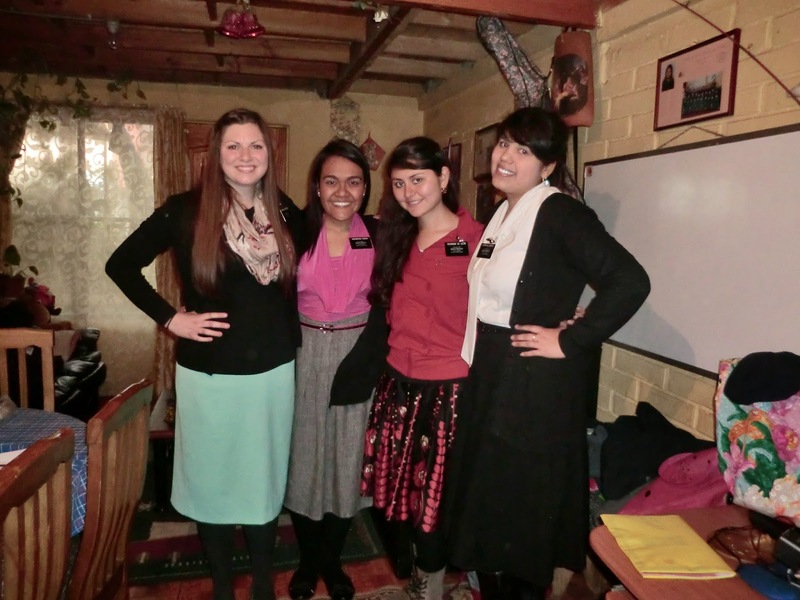 I happy to know that after the mission I will be able to continue helping people draw closer to Him. I love you all! Guess I´ll see you all soon! Maybe you´ll hear from me next week, but then again, maybe not! Well, I have officially decided that there is just no good way to prepare to leave the mission which is why I usually just pretend like I´m not and keep working. I´m not quite sure if my denial is good or bad but it is what it is. So.... This is what´s been happening! This week has been RAINY. One night me and my companion were walking along the sidewalk under the pouring rain. We needed to cross the street, but that would pretty much mean crossing a river! So we kept walking. Only to find our path blocked up ahead by another river. We were seriously surrounded on all sides by A LOT of water. We desperately needed to cross and get to our appointment we were already late to. So, me being my intelligent self, saw a clump of sturdy looking dirt/mud that would help us cross with out submerging our feet into the cold water. i stepped on it and to my surprise I sunk into the mud past my ankles! I couldn´t help it i just burst out laughing. I´m pretty sure my companion was more in a panic about it than I was! I ended up with mud ALL OVER my boots, inside and out, and my socks that were once white are now brown. So there is this member that is recently returning to church that lives way out in the middle of no mans land that we visited this week. We were pretty excited. We had it all set up so that a member with a car could take us, participate in the lesson and then take us back. The only problem is that the member canceled on us last minute. Well, we couldn´t bail out so we took a bus out to the campo. The only problem is that when we got done, we realized that we had no idea when another bus would pass to take us back to Cauquenes. So we started to walk. And walk. For an hour. When FINALLY we see a bus!!!! WOOO!!! So we waved our arms in the air.... and the bus flew right past us. Oh man, here we were in the middle of the highway. We had been walking for an hour and the only bus we saw went past us. Well, looks like we´ll just keep walking for a few more hours! A bus finally passed, but we got back real late and were late to our appointments and even had to skip out on one. AH! Well, out of time! Hope all is well! Love you! There wasn´t a pitcher to be found in the church.... But there were some vases! So I mean, the only reasonable thing to do was made juice in the vase! Remember Guillermo and Vicky? Yeah so they can supposedly only get together with us on Saturdays because of work and stuff so we don't get to have a lot of contact with them. But they came to the baptism on Saturday and the LOVED it! You could tell that they were really feeling the spirit. Then on Sunday apparently Vicky was sick , but Guillermo STILL went to church will his daughter! WOO!!! Good guy. So one time this week, we walked in to our house and my companion SCREAMED way loud. So I look inside, just in time to see a CAT run away from us. WHAT THE! How on earth did a cat get inside our house??! Anyways, turns out we left the back door open. Oops. I guess we better keep that closed because my companion almost gave me a heart attack with that one! Well, that´s all for today! Hope everything is wonderful! Love you! Well Here I am in Cauquenes! WOO! This place is awesome! We have seriously seen miracle after miracle. Me and my comp get along really well. She is from Colombia. I am again the only person who speaks English in the house! Woo! Party! So there is a couple that we are working with named Debora and Marcelo and they are super awesome! They are supposed to be getting baptized this Saturday if all goes well. They are boyfriend/girlfriend, but DON¨T WORRY they don´t live in the same house! fewf. Apparently Debora was SUPER evangelica but now you really wouldn´t even be able to tell. They are super awesome. This wek we were determined to talk to everyone we saw, so we cantacted this one guy and set up an appointment with him or Saturday. A lot of the time when that happens the person isn´t home, or changes their mind about receiving us in their house, but this time he let us in. Him, his wife (Yes they´re married already!) and daughter. 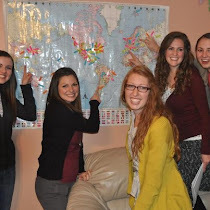 We taught them and invited them to church, and sure enough THEY CAME!!!! YEAH!! Guillermo and Vicky. They are so awesome and One of the members is friends with Guillermo and apparently always invites him to stuff. He was REAL happy to see Guillermo there. Hey! These are the hermanas that I live with! We had a "Chirstmas in July" party with the zone and did a white elephant. "Hermana Woodbury se va a Cauquenes, y su compañera va a ser Hna Vieda!!!" Yep that´s right! That´s what they told me this morning! I am off to Cauquenes for the end of my mission! Woo hoo! I am super excited! My whole mission I have wanted to serve in an area with lots of "campo" (out in the country in the middle of nowhere) and it is finally happening!!! I am not quite sure where my companion is from but I´ll keep you posted on that one! Alright, I bet you are all on the edge of your seats just waiting to know what is happening with Carlos and Berta right now so I´ll tell you. We got a call from Carlos saying that he is going to be out of town for two weeks working, but that he brought his Book of Mormon with him (good boy!). Then he said, "Hermanas I´m really not doing so good. I just found out that my good friend got murdered. I don´t think I will even be able to go back for the funeral because of work." Whoa. Not anything we were expecting to hear! Basically we have been calling him and Berta almost every night to see how they are and give them scriptures to read. We were also able to visit Bertha, but they were both out of town on the weekend, but hopefully this next week they will be back for church. They are so good! They are so prepared! Keep praying! Okay so there is this cute old lady named Maria that is super catholic that we are teaching that was a reference from one of the members. On Saturday we were teaching her and she had made the decision to go to church to help her find an answer if she should be baptized. So in her prayer at the end she said something along these lines, "Father, I am going to the mormon church tomorrow to know if that´s the right church because I´m practically already mormon." YEAH!!! It is a good thing we all had our eyes closed because I´m pretty sure my jaw probably dropped wide open! If anyone was peaking they would have gotten a real kick out of that! I just love seeing all the little miracles God puts in our path all the time! It´s so great! Love you guys! Hey guess what! We have super neat investigators! I don´t even know where to start. So basically, this past month has been real rough with investigators, but we just decided to the one thing that was really in our control, talk to EVERYONE. A couple weeks ago we saw a couple of rebellious looking college age people, and talked to them. We were surprised to find out that one of them (Maria Jose with many piercings and tattoos) was actually very believing and VERY interested. So, she invited us to share with her AND her friends at her friends house! SWEET! Well, turned out that all of her friend were receptive too, and we just go over there all the time to teach who ever is there! This week, we found out that the people who actually live there are Carlos and Berta, a young 21 year old couple who have been living together for three years. On Tuesday we passed by and Carlos as the only one home. Well, we had a member so we said "permiso!" and went right in and taught him! We taught him about the Book of Mormon, answered all of his questions and doubts, and invited him to read and pray. Well, when we went back on Saturday we taught both Carlos and Bertha and it just so happens that Carlos shared with Berta EVERYTHING we had shared with him the visit before, they had read together, and prayed! They described to us that every time they talk to us or read the things we give them or pray, they just have this really good peaceful feeling. YEAH!! We were able to help them see that they can have that ALWAYS in their life by living the gospel. They wanted to go to church, but they were kind of scared because they live together and aren´t married and they were afraid that people would judge them for being there. 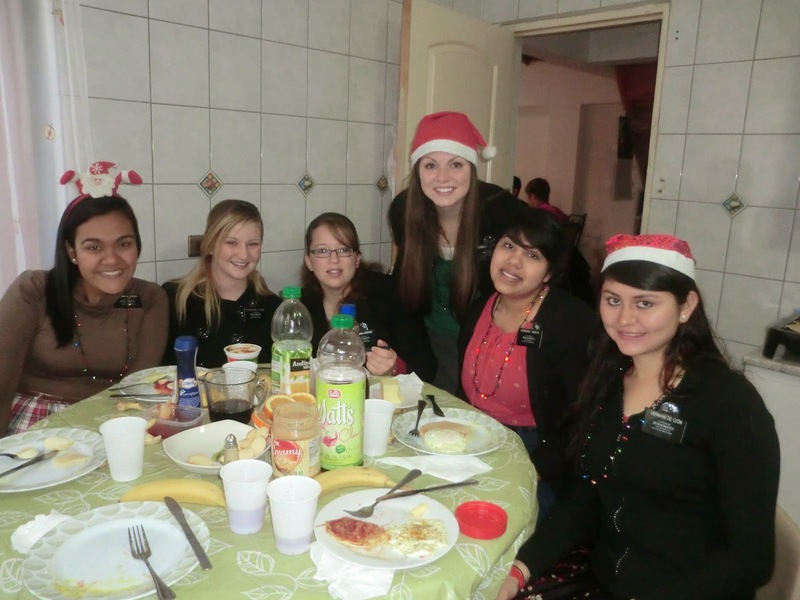 We told them that they can´t be living together unmarried to be baptized, BUT they can go to church! SO THEY WENT!!!! WOO!!!!!!!!! They told us they LOVED it! We were super happy because all the members made them feel super welcome too. PRAY FOR THEM!!!!!! They seriously are so great, but we are going to need a lot of help and guidance to help them take the decision to either get married or separate so they can get baptized. THEY CAN DO IT!!!! Well! Not that I´m happy that Chile got kicked out of the world cup but... Hey I can have a normal work schedule again! Woo :D Every one was real sad after that game... Chuta. This week was seriously insane! 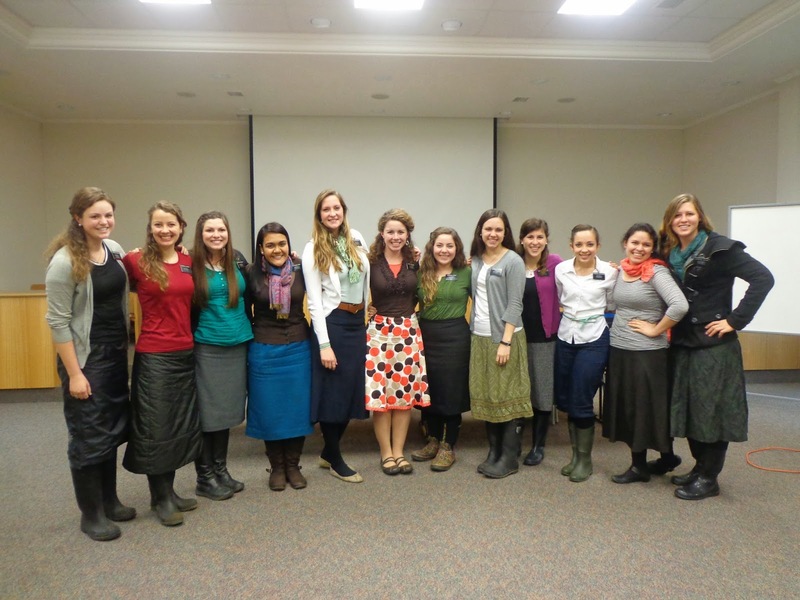 We did three mini cambios, had stake conference, had to stay in for the world cup, and leaders counsel (today). I have learned that there is never a normal week in the mission. But hey! That´s okay, I do always like to mix things up so no complaints here! We also found some great people this week that I really hope will progress! WOO! Well, now that I´ve summed up my week, let me tell you a random fact about Chile! They use brooms for EVERYTHING! Mops don´t really exist here, they just tie a cloth to their broom and use it as a mop! Racks also don´t really exsist, the just sweep their leaves out of their grass! The other day I even saw a guy washing his car using a full on broom as the "sponge." Very impressive. Not only can you sweep up floors and cob webs with a broom, but you can do MANY other things! Just think, all of the equipment we buy when really all we need is a broom. I really love that because in a way it kind of symbolizes how complicated we make our lives with all of the "things" we think we need. As the world keeps getting more and more complicated, the Gospel stays the same. Our Heavenly Father loves us and that will never change. :) I JUST LOVE IT SO MUCH!!!!! Well, Hope all is well! Love you!